We have two Giving Opportunities going on now at FPC of Jennings. 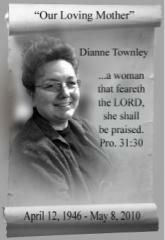 A Building Fund and The Dianne Townley Memorial Fund. We are currently raising funds to pay off our new church property. Our goal is to raise $32,000 by August 15, 2012. Any contribution will be greatly appreciated. Thank you to everyone who has already contributed! The First Pentecostal Church and the Townley family have combined efforts to build a church in Kenya, Africa. After the untimely death of our pastor's mother, Dianne Townley, and the family's desire to continue her vision, to reach many souls for Christ, the Kenya Project was started.
" We will be so glad to have you build a church in one of the major towns in Kenya. We have land which was bought a few years ago in a town called KAKAMEGA which is the provincial headquarters of Western Province in Kenya. We have an Apostolic gathering on the land but the people worship under the shade of a tree. 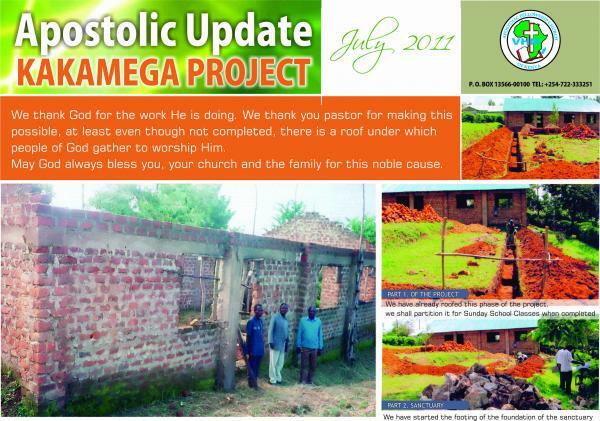 We have been praying and fasting that God will provide in order for church to be built there. I am extremely excited and thankful to God for using you in this project. I am estimating approximately USD 50,000 to 60,000 we can build a church that can seat about 150 to 200 people. We will be glad to have the church build here in honour of your Mother. She must have been a great lady of God and soul winner!. Glory to God!"